In the late Eighties, record companies released as much formats of a single as they could, to sell more copies which meant higher chart placings. 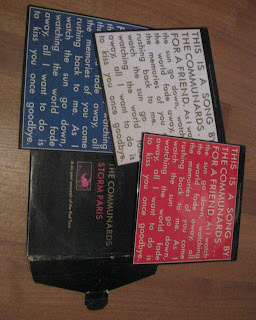 In the case of the Communards' impressive 1988 single 'For a friend', the record company opted for a luxurious three disc 12" single set, featuring live tracks from a concert in Paris. 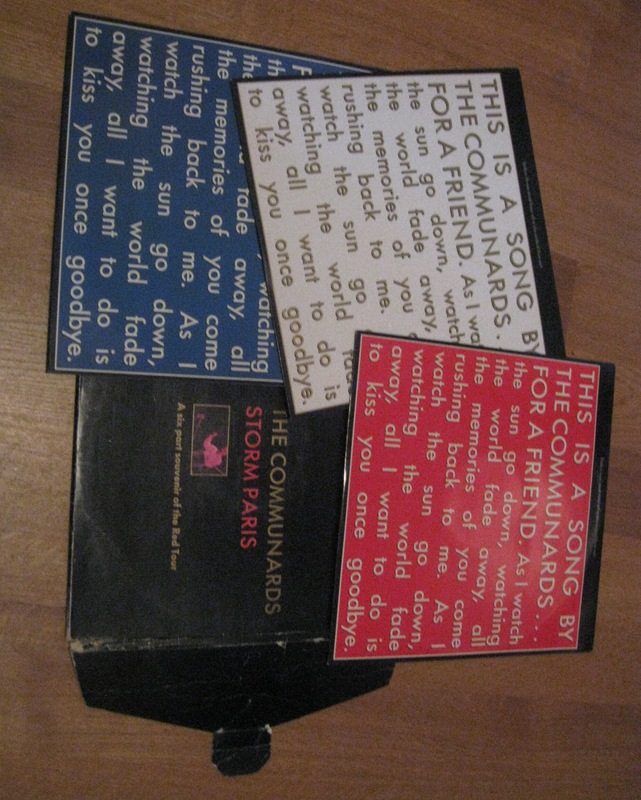 Entitled 'The Communards storm Paris', the set featured twelve tracks, but weirdly enough the single's original B-side, a live version of 'Victims', featured on all three discs. Still, it's a nice item to have and I have searched for it for a couple of years.